To enhance its services to the community it represents, the Council invested in the setting up of Community Hall. Situated at New Street, Luqa, this Hall has a twofold mission: to serve the interests of the Council to hold public meetings, exhibitions, social, educational and cultural activities and to meet the needs of certain local organizations which have no premises where to discharge their functions. The Luqa Community Hall was officially inaugurated on 16th June 2002. 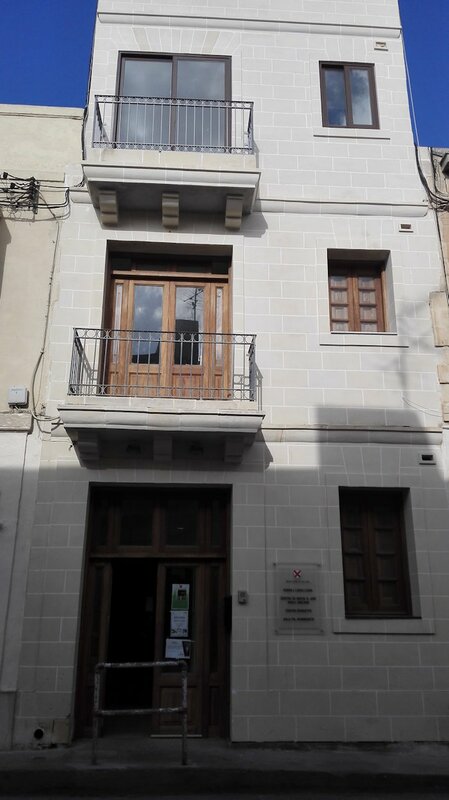 In the end of the year 2011 the Local Council had the permit issued for alteration works of the Community Hall in order to incorporate a New Administrative Office accessible for all. The Day Centre will be retained in the same building but there will be an Administrative Office, a Community Hall and spaces for use by Local Organisations. In the course of the works the Local Council constructed a new storey and altered the existing top floor. The shaft for the lift was enlarged to incorporate the lift so that all the floors will be accessible for the public. The construction works excluding the finishes have already costed the Council about Euro 70,000. Currently the Council is in the phase to start the finishing works. As the works are going steady with the flooring in place, the structure for the offices, plastering and painting had been completed, electricity, network system and the lift is functioning, it is being planned that the offices will open to the public by March.